Perdita Lee may appear your average British schoolgirl; Harriet Lee may seem just a working mother trying to penetrate the school social hierarchy; but there are signs that they might not be as normal as they think they are. For one thing, they share a gold-painted, seventh-floor flat with some surprisingly verbal vegetation. And then there’s the gingerbread they make. Londoners may find themselves able to take or leave it, but it’s very popular in Druhástrana, the far-away (and, according to Wikipedia, non-existent) land of Harriet Lee’s early youth. In fact, the world’s truest lover of the Lee family gingerbread is Harriet’s charismatic childhood friend, Gretel Kercheval – a figure who seems to have had a hand in everything (good or bad) that has happened to Harriet since they met. Decades later, when teenaged Perdita sets out to find her mother’s long-lost friend, it prompts a new telling of Harriet’s story, as well as a reunion or two. As the book follows the Lees through encounters with jealousy, ambition, family grudges, work, wealth, and real estate, gingerbread seems to be the one thing that reliably holds a constant value. 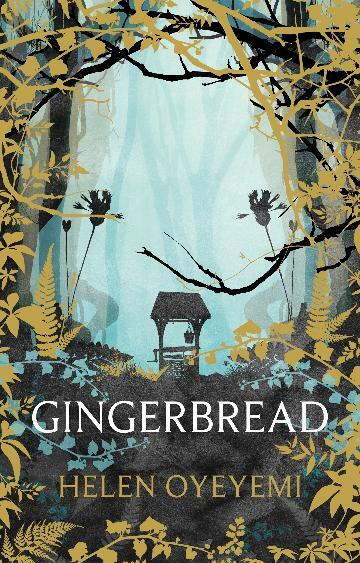 Endlessly surprising and satisfying, written with Helen Oyeyemi’s inimitable style and imagination, Gingerbread is a true feast for the reader. Helen Oyeyemi was born in Nigeria in 1984 and moved to London when she was four. She is the author of the highly acclaimed novel The Icarus Girl, which she wrote while she was still at school, The Opposite House, and two plays, Juniper's Whitening and Victimese.